Something we discovered at our last exhibition - as a quick track cleaner I used a couple of those use-once throw away spectacle/glass cleaners (box of 50 from Lidl, Aldi etc) they are pre-moistened with IPA or similar and the paper composition doesn't leave bits behind, and non abrasive. Worth keeping a few in the portable tool box for going to shows. Are these a bit like "wet-wipes" Shaun ? Not quite, Peter. I think wet wipes and similar disposable cleaning aids probably contain soaps/lanolin/antiseptics and other chemicals that may leave deposits on the track - also the tissue fabric on wet wipes seems to be softer and prone to shred. The carrier paper has more of the consistency of 'Bronco'! 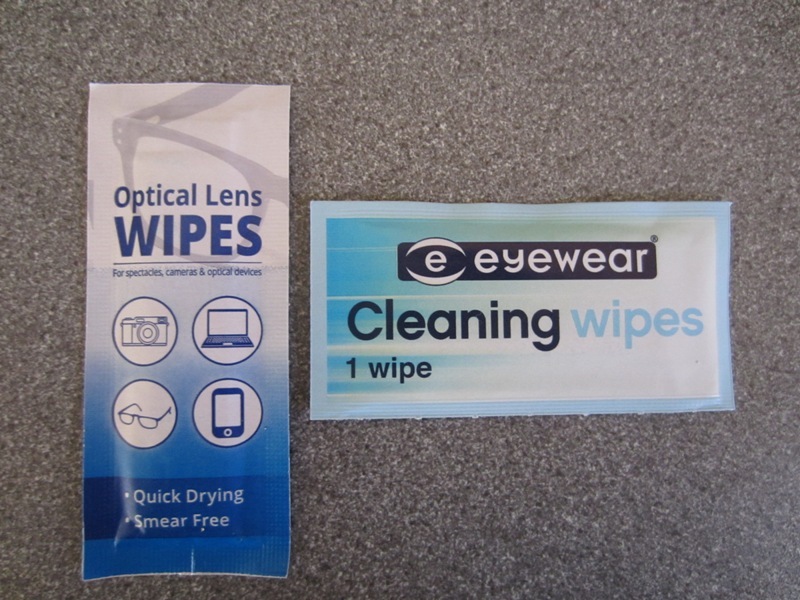 Just had a look at my "pre-moistened lens wipes": water, isopropyl alcohol (IPA), anti-fog (? ), anti-static agents (?). Anti-fogs are commonly surfactants, usually hydrophilic polymers, anti-statics are a veritable witches brew, usually organic bases. Rather than coat the rails with soap I use a piece of microfiber cloth (used to clean laptop and flat panel TV screens, I grab it before my wife bins it) and a mister containing neat IPA (not rubbing alcohol) from the pharmacy. Much cheaper, and the microfiber cloth does not shed. I avoid contact with ballast by using a small block of wood around which the cloth is wrapped. I also use a swiffer to get rid of dust. You should be able to get microfiber cloths from the local car cleaning supplies store. Is Halfords still around? In the UK you can get packs of MicroFibre cloths (4-5 in each pack) from Poundland and other pound stores. What's a good thing to use on steel rail track that went years without proper cleaning? The first one would probably be dont bother, bin it and get nickel silver, followed by "how bad is it ? For heavily pitted track (after trying the track rubber) I used 1200 grit wet and dry paper to take off as much as possible but this does scratch the metal surface so then you go over with the brasso to polish out the scratches, then hardboard. I warn you though if its a lot of track, cleaning it is not for the faint hearted ! 400, 800, 1200, 2000 w/d. 800-1200 doesn't affect adhesion. Brasso contains pumice and limestone for scratch removal, along with a bunch of other quite nasty chemicals for tarnish removal. The modern version is apparently not as good as the old one in the metal can.